Windy City Mechanical, Inc. is proud to serve the Chicago Ridge community! 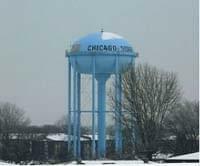 Chicago Ridge is a Cook County village located in the northeastern corner of Illinois, and as of 2010 the population was over 14,300 residents. This community was named for the ridges that were created when trainloads of dirt were dumped during the construction of the Columbia Exposition as part of the Wabash Railroad. Over the years, industry has become a prominent part to Chicago Ridge life, and Landis Plastics is located in this community. While the Chicago Ridge School District serves the area, high school students attend classes in neighboring Oak Lawn at Harold L. Richards High School. Chicago Ridge is home to a variety of unique attractions for area visitors and residents. The AMC Chicago Ridge 6 is a movie theater located within the Chicago Ridge Mall. There are several venues for special events in the community, including the Royal Palace and Candle Light Banquets. Additionally, outdoor recreation is popular in this village, as the Chicago Ridge Prairie Nature Preserve and the Frontier Park Field House are both located here. Other popular attractions can be found in nearby Chicago. Several of the country’s most interesting museums are located within the city, including the Museum of Science and Industry and The Field Museum. Baseball fans often enjoy watching the Cubs play at historic Wrigley Field, while The Chicago Theatre is a great venue to check out a stage or musical performance. Chicago Ridge is situated in a humid continental climate zone. This means that the village experiences four distinctive seasons during the year. Winters are cold with significant snowfall, and average high temperatures are below freezing. In order to stay comfortable and safe during these months, it is important for area residents to have a reliable furnace or heating system. Once the cold winter turns from a mild spring into summer, the conditions becomes hot with high humidity, and then Chicago Ridge residents need to rely on an air conditioner to beat the heat.